Very exiciting news with the appointment of former Woodsmen Chris O'Keefe signed and annouced to be the Senior Playing Coach for 2017 and beyond. 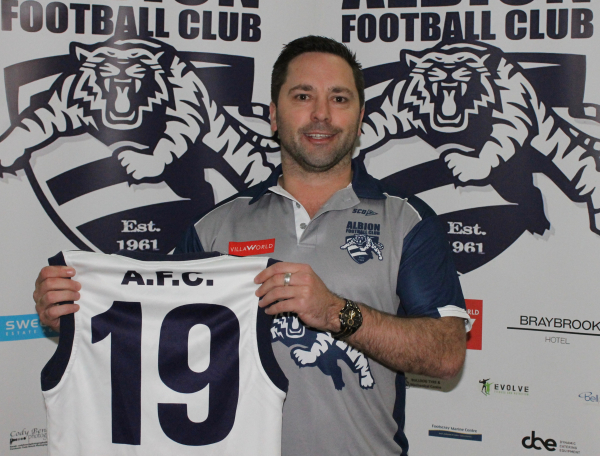 O'Keefe comes with a very impressive resume, 3x Premiership Player, In 2011 he coached spotswood to the flag, 2x Barry Priest Medalist in 2012 & 2013 and 100+ games for the Spotswood Football Club. Current coach Aaron Tymms took on the job back in 2013 and at the end of this year will depart as Senior Coach. 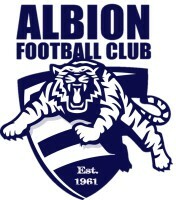 When Aaron took on the job he had one intention and that was to get Albion higher up the ladder and has certainly done it, "I took it on when we were in a bit of strife, so I think I've done my bit and got them out of a hole" Tymms said. Tymms is a very well known man around the club playing over 400 games at the Cats and also leading us to a premiership as captain in 2010. More recently O'Keefe played for the Bungaree Football Club from 2014-2016, Playing in a premiership in 2014 and also being named in the 2014 CHFL Team of the Year. Chris has had a decorated playing career playing for the North Ballarat Rebels in the TAC Cup and 5 years at the North Ballart Roosters in the VFL. When asked on any final words he just asked one big favour and that was "Im really excited to start fresh at a new club but i just want all the Supporters, Members and of course Players to get on board with some pretty exciting times ahead"
Lastly we would like to say on behalf of all Players, Supporters and Members and very big welcome to the Cats!